PRICE REDUCED!!!! The big old oaks in the back yard is a great place to entertain family and friends. Or just to sit out and enjoy all that nature has to offer. The yard is completely fenced. It also has a storage shed. 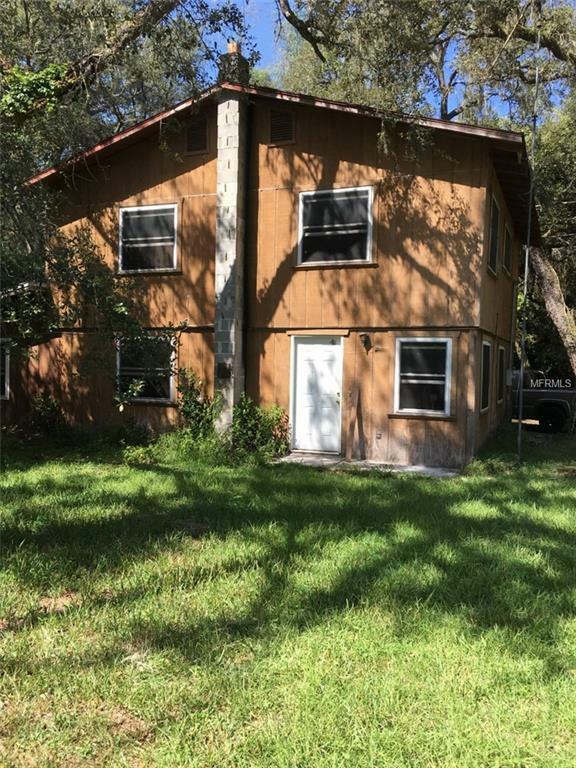 This 4/2 - 2 story home with lots of room for a large family has so much potential. The downstairs features the living room, dinning room, kitchen, master bedroom, bath and utility room. Upstairs are 3 additional bedrooms and a bath. The upstairs has wood floors. House also has dual air conditioners. Drain lines have been replaced recently. You need to see this livable fixer-upper to see all it has to offer. With a little TLC it will be beautiful!!! Please know this home is in need of some repairs.... new flooring, complete the bath upstairs,closet doors need to be put in place... Make these upgrades and you will have a beautiful place!!! Cash Only.